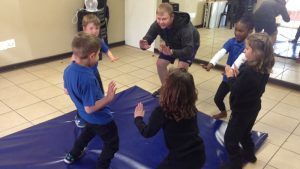 In our Pre-Primary the children enjoy a gym programme organised by our Sports Coach on the basis of 13 key components necessary to follow the child’s physical abilities. 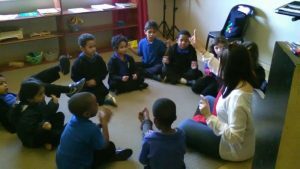 Music is incorporated into the curriculum which includes singing, dance and movement. These 40 minute lessons encourage expression from the children, releasing inhibitions and allowing them the fun of being who they are and more. 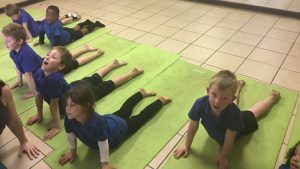 Yoga is offered in our Pre-Primary, teaching good posture, stretching and strength, effective breathing, positive self-talk, gratitude and relaxation. A good start for an enriched life style. 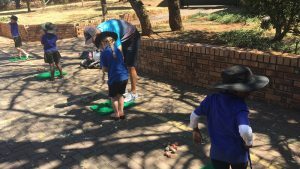 Golf is a private option for those students wishing to take lessons. This is a specialised program which enhances leadership, confidence, responsibility, courage and self-improvement.